The Scientific Advisory Committee is an advisory committee to the MAC. The SAC assists investigators in the development of new study proposals, oversees ongoing studies and advises the MAC on scientific matters that may arise. A/Prof Nick Pavlakis underwent undergraduate medical training at the University of NSW and graduated in 1991. 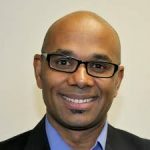 He underwent general medical training and subsequent advanced training in Medical Oncology at Royal North Shore Hospital, completing FRACP in 1997. He then spent 3 years completing a PhD in new cancer drug development involving an Australian developed anti-angiogenic compound PI-88 (Progen Industries and ANU); and a Masters of Clinical Epidemiology through the University of Sydney. He has worked in private oncology practice since 1998 and has been a practice member of the Northern Cancer Institute since 2001. 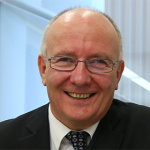 He is current Chair of the Lung Cancer Group of the Clinical Oncologic Society for Australa (COSA), and is Regent for Australasia for the International Association for the Study of Lung Cancer (IASLC). Associate Professor Thomas John is a medical oncologist specialising in Thoracic malignancies and genetics. He received his medical degree from Monash University and PhD from University of Melbourne in 2008. He underwent post-doctoral research using PDX models of NSCLC in Toronto. He has received awards from the American Society of Clinical Oncology as well as the American Association for Cancer Research for his research into lung cancer and melanoma. He leads a laboratory group researching both lung cancer and mesothelioma with an interest in immunology, methylation and novel targets. Antony is a Medical Oncologist from Sydney who works as a clinician at the Riverina Cancer Care Centre and the Northern Beaches Cancer Service where he sees a range of tumour streams, and retains an active interest in thoracic, gastrointestinal and urological malignancies. 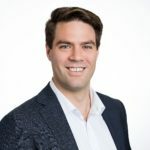 He is currently involved in clinical research though a clinical trials fellowship at the NHMRC Clinical Trials Centre with involvement in the suite of ongoing and up-coming ALTG trials and the ongoing CannabisCINV study. 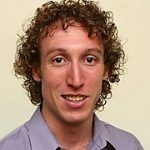 Antony has also ongoing enjoyed involvement in the conduct and development of a range of medical educational activities for clinicians, trainees and students including the AGITG upper (2017) and lower GI (2016) preceptorships, the ALTG preceptorship (2018), and as a tutor for the problem-based evidence-based medicine educational series for the University of Sydney Graduate Medical Program (20167-2018)..
Martin Stockler is Professor of Cancer Medicine and Clinical Epidemiology, Sydney Medical School, Oncology Co-Director at the NHMRC Clinical Trials Centre, University of Sydney, and a Medical Oncologist at the Concord Cancer Centre and Chris O’Brien Lifehouse RPA in Sydney. Martin’s research aims to improve survival, quality of life, care, and communication for those affected by cancer. His methodological interests include clinical trials, meta-analysis, patient-rated outcome measures, and prognostication. 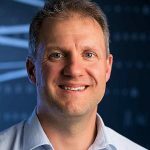 Chris Brown has been a Biostatistician with the NHMRC Clinical Trials Centre since 2005 and worked with the ALTG since 2008. He has an undergraduate degree in Statistics from the University of Sydney and a Masters in Biostatistics from the Biostatistics Collaboration of Australia. 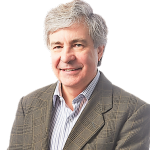 He has a record of accomplishment in research grants and trials-related publications, has experience designing studies and in teaching statistics at the postgraduate level and to oncology specialists. A/Prof Fraser Brims is a Consultant Respiratory Physician at Sir Charles Gairdner Hospital and Director of Early Years Communication and Clinical Skills at Curtin University Medical School, based in Perth, Western Australia (WA). Prof Brims has a clinical and research interests in early lung cancer detection and he leads the WA Asbestos Review Program, a prospective longitudinal cohort of ~1,750 individuals with annual low dose CT scans for the detection of early lung cancer. 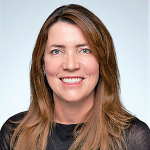 Dr Annette McWilliams is a Respiratory Physician who trained in Western Australia and subsequently moved to Vancouver, Canada where she spent 12 years working at the British Columbia Cancer Agency and Vancouver General Hospital. She returned to work in Perth in early 2013 and is Clinical Lead for the Thoracic Tumour Collaborative of WA. Dr. McWilliams is continuing her interest in early lung cancer detection and is a member of the IASLC Prevention, Screening and Early Detection Committee. She was the inaugural Head of Respiratory Medicine at the new Fiona Stanley Hospital that acts as the comprehensive cancer centre for the southwest region of Western Australia. 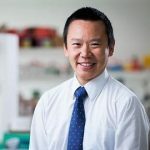 Dr Steven Kao is a medical oncologist at the Chris O’Brien Lifehouse, Camperdown. He completed his PhD at the ADRI and focused his research on predictive and prognostic factors in malignant mesothelioma. Steven has a wide clinical, translational and psycho-social research interest in thoracic cancers including malignant mesothelioma and asbestos-related lung cancers. He was awarded the Premier’s Award for Outstanding Cancer Research Scholar from the Cancer Institute NSW in 2012. 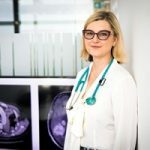 Professor Anna Nowak is an academic medical oncologist who treats and researches two invariably fatal cancer types: mesothelioma and malignant brain tumours. 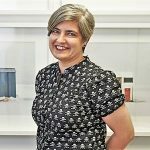 She has a PhD in tumour immunology and did a post-doctoral fellowship in clinical trials and quality of life research, giving her a unique perspective that truly bridges bench to bedside. Whilst speaking the language of scientists and having an active laboratory program, she is also a clinician who brings new treatments to patients through novel clinical trials. She is passionate about patient-doctor communication, mentoring, and women in oncology and science. 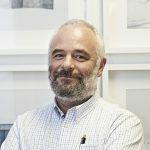 Prof O’Byrne is a Consultant and Professor in Medical Oncology at the Princess Alexandra Hospital and the Queensland University of Technology. He has conducted translational ‘bench-to-bedside-and back-again’ research over the past 25 years with a focus on solid epithelial tumours, in particular in thoracic malignancies. 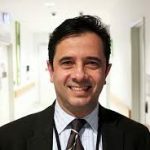 He is involved in the International Association for the Study of Lung Cancer (IASLC) and Thoracic Alliance for Cancer Trials (TACT) and a member of Australian Lung cancer Trials Group (ALTG), Medical Oncology Group of Australasia (MOGA) and Australian Genomics Health Alliance (AGHA). Dr. Chee Khoon Lee is a consultant medical oncologist, and a staff specialist at the St George Hospital and the Sutherland Hospital. 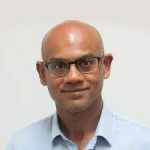 He obtained his PhD from the University of Sydney in 2012 for his methodological work in the conduct of clinical trials involving biomarkers for personalising treatment in patients with advanced cancers. He is the Director of the Clinical Research Unit (Medical Oncology) at St George Hospital. He actively enrolls patients into clinical studies that investigate novel therapeutic agents in lung, ovarian, and breast cancers. Haryana is a Research Fellow in Cancer Survivorship at the Centre for Medical Psychology and Evidence-based Decision-making (CeMPED) University of Sydney. She is also a member of the Board of the Clinical Oncological Society of Australia (COSA) and Council, and chair of the Survivorship Group of COSA. Haryana co-leads a Cancer Survivorship Research Group based in the University of Sydney. 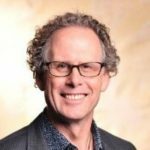 Michael is an Adjunct Associate Professor at Monash University and an Honorary Senior Lecturer at Melbourne University and has lectured extensively to undergraduate and postgraduate prevocational and vocational doctors. 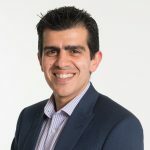 He holds positions with the Australian Medical Council and is a Board member and the Chair of Accreditation of the Postgraduate Medical Council of Victoria. 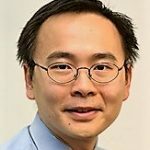 He has research interests particularly in the nexus of palliative medicine and oncology; having attracted competitive grants for investigator led studies performed at Monash Health and has been a principal investigator for international research trials in pain and symptom management. Michael is currently a representative on the Australian Lung Cancer Trials Group’s Specialist Advisory Committee.